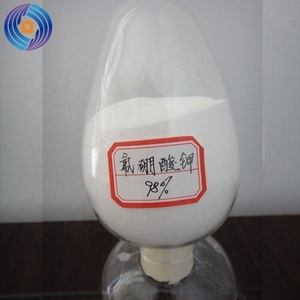 : 125.90 DESCRIPTION : A white powder,density in 2.5g/ml,melting point on 530&deg;,slightly dissolved in water and hot ethanol,not dissolved in cold alchol .toxically. 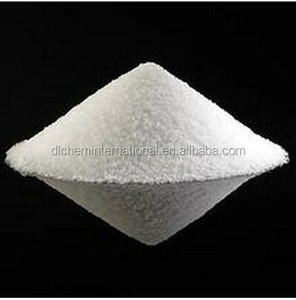 APPLICATION :Be used as fusing agent in welding,raw material for others Fluoride salts series. 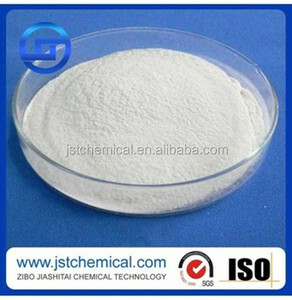 14075-53-7 Properties Physical form White granule crystal Assay(%) &ge;99% Chloride(Cl) &le; 0.1 % Sulfate(SO4) &le;0. 01 % Iron(Fe) &le;0.0 3 % Moisture &le;0.0 5 % Lead(Pb) &le;0.01% Calcium (Ca) &le;0.05% Magnesium (Mg) &le;0.05% Silica(as SiO2) &le; 0.3% Application It is analytical reagent, fusing agent, in manufacture of Boron trifluoride, mould material for casting Al and Mg, in electrochemical and chemical experiments . Potassium Fluoroborate Spec: Assay: 98% min Cl: 0.01% max Free acid: 1% max K2SiF6: 1% max Moisture: 0.5% max Heavy metal (Pb): 0.5% max Packing : in 25kg composite bags or plastic woven bags or 500/1000kg bag Application : Welding flux, sand-casting of aluminum and magnesium, grinding aid in resinoid grinding wheels; flux for soldering and brazing, electrochemical processes and chemicals. 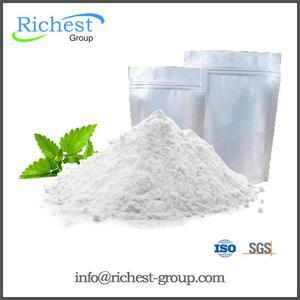 : 125.90 DESCRIPTION : A white powder,density in 2.5g/ml,melting point on 530&deg;,slightly dissolved in water and hot ethanol,not dissolved in cold alchol .toxically. 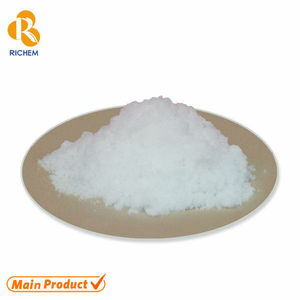 APPLICATION :Be used as fusing agent in welding,raw material for others Fluoride salts series. 14075-53-7 Properties Physical form White granule crystal Assay(%) &ge;99% Chloride(Cl) &le;0.1% Sulfate(SO4) &le;0.01% Iron(Fe) &le;0.03% Moisture &le;0.05% Lead(Pb) &le;0.01% Calcium (Ca) &le;0.05% Magnesium (Mg) &le;0.05% Silica(as SiO2) &le; 0.3% Application It is analytical reagent, fusing agent, in manufacture of Boron trifluoride, mould material for casting Al and Mg, in electrochemical and chemical experiments . 300mesh:15%max Usage: analytical reagent,fusing agent,in manufacture of Boron trifluoride,mould material for casting Al and Mg,in electrochemical and chemical experiments. 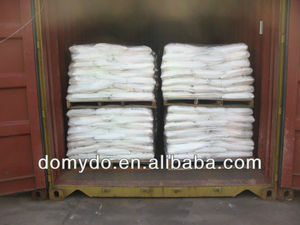 Packing : 25kg composite bag or P. E bag Caution at transportation: poisonous,must be kept from moisture. 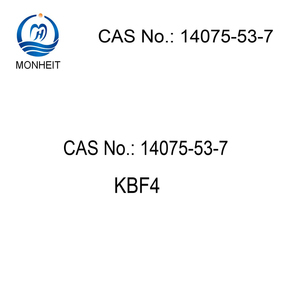 Potassium Fluoroborate Formula: KBF4 CAS NO. W: 125.90 Properties: . Prevent package from breaking and deliquescing Packing: 25kg net, double plastic bags lined plastic woven sack. SiO2 0.5 max. Ca 0.05 max. Mg 0.05 max. It is also used as a cleansing flux for nonferrous metals like aluminium and magnesium. It can be uesed as an ingredient in welding, brazing, and soldering fluxes as well. It is also used as active filler in abrasive products. inorganic white powder Kbf4 potassium fluoroborate suppliers Chemical nature Chemical name Potassium Fluoroborate Molecular formula KBF4 Molecular weight 125.90 CAS No. It is a leading import & export company with its own manufacturer factories which are located in Jiangsu and Anhui province under Group We can provide the professional service and have the financial strength as reinforcement. 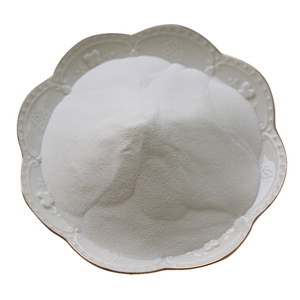 inorganic white powder Kbf4 potassium fluoroborate suppliers All of our members have rich experience of more than ten years in chemical produce and export. Specifications: KBF4: K2SiF6: Max. 1.0% Na: Si: Fe: Cl: Max. 0.05% Pb: Max. Formula: KBF 4 CAS NO. : 14075-53-7 M. W: 125.90 Properties: . 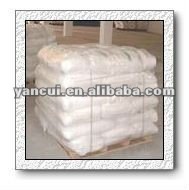 Alibaba.com offers 122 potassium fluoroborate products. About 59% of these are halide ( except chloride ), 31% are other inorganic salts. A wide variety of potassium fluoroborate options are available to you, such as free samples, paid samples. 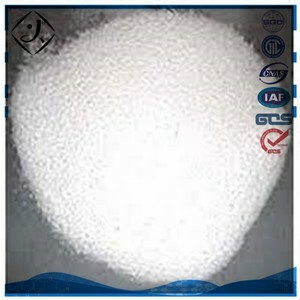 There are 122 potassium fluoroborate suppliers, mainly located in Asia. The top supplying country is China (Mainland), which supply 100% of potassium fluoroborate respectively. Potassium fluoroborate products are most popular in Western Europe, South Asia, and North America. You can ensure product safety by selecting from certified suppliers, including 15 with ISO9001, 7 with Other certification.